Soviet director Andrei Tarkovsky created some of most visually arresting films of his generation—Solaris, Andrei Rublev, Stalker, The Mirror—in a brief career cut short by lung cancer. But despite influencing contemporaries like Akira Kurosawa and Ingmar Bergman, not to mention countless others since then—three of his films made the Top 50 in the 2012 Sight & Sound poll—there has never been a comprehensive English-language documentary on the director until now. 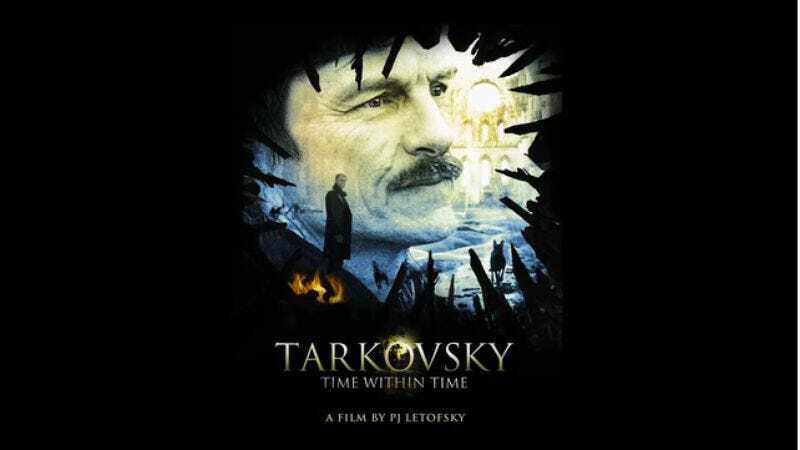 PJ Letofsky’s project Time Within Time uses Tarkovsky’s own diaries as its basis, as well as interviews with Tarkovsky’s surviving collaborators and family members to create a complete portrait of the legendary director, from his early life and exposure to nature through secretive communication with his collaborators to avoid persecution from strict censors. Letofsky even brought in renowned Soviet/American actor Oleg Vidov to narrate Tarkovsky’s words throughout the film. Principal photography is complete, so the funding will go toward securing archival footage, photo, and music rights, as well as other postproduction costs. This is also another prime opportunity to point out that all of Tarkovsky’s seven feature films are still available online for free, in case you’ve never seen them.